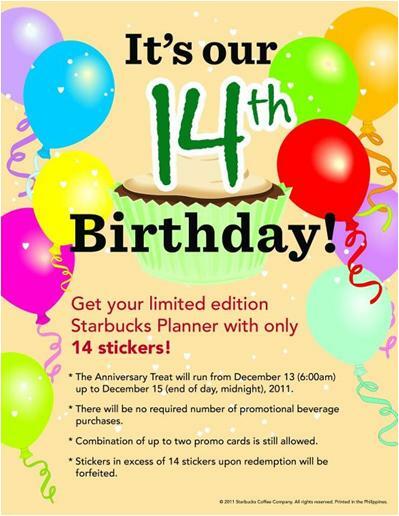 Get your limited edition Starbucks Planner with only 14 stickers. The Anniversary Treat will run from December 13 (6:00am) up to December 15 (end of day, midnight), 2011. There will be no required number of promotional beverage purchases. Combination of up to two (2) promo cards is still allowed. Stickers in excess of 14 stickers upon redemption will be forfeited. December 4, 1997, the Philippines had its first taste of the Starbucks Experience with its very first branch at the 6750 Ayala Building in Makati City. 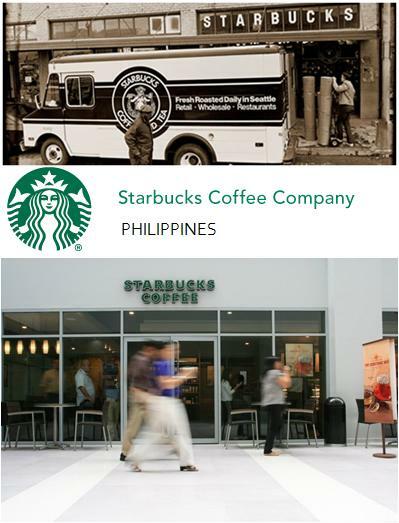 Starbucks has since won the hearts of the Filipinos. The opening of the 6750 Ayala store marked an important milestone in our history – the Philippines became the third market to open outside North America. The tradition of warm hospitality, constant need for connection, and love for coffee – these are the qualities that make Starbucks Coffee and the Filipino people a great culture fit. 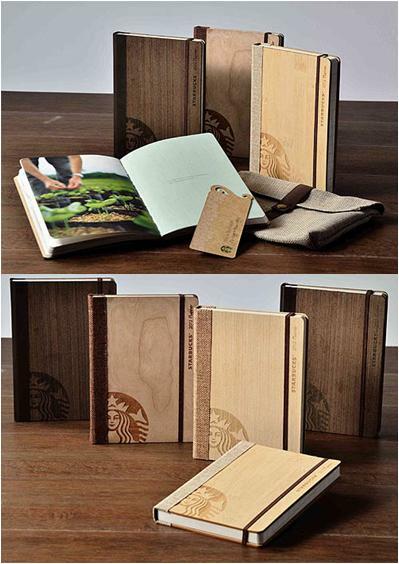 The 2012 planners echo Starbucks' Shared Planet theme and are made from 70% recycled paper. The planner covers are made from wood and come in five colors: poplar, bamboo, cherry, spruce, and oak. They also come in a burlap-cloth pouch with a bookmark and nine coupons redeemable at all Starbucks Coffee branches.